Yeah, yeah I know, bevels are soooo 1996. And I agree. However, it’s always good to know the capabilities of your tools. Talented designers will know when it’s suitable to use a certain effect and incapable ones will abuse whatever is given to them, so after a lot of thought, I decided to blog about my discovery. Even though not directly mentioned in the spec, CSS3 is capable of easily creating a bevel effect on any element. Moreover, if the element has rounded corners, the bevel follows that as well. Before explaining the technique, let’s think about how a bevel actually gets drawn. It’s essentially two inner shadows, that when combined, create the illusion of a 3d appearance: a light one from the top left corner and a dark one from the bottom right corner. 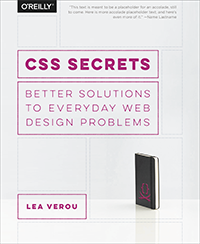 CSS3 includes the ability to create inner shadows, if you specify the keyword “inset” in the box-shadow declaration (currently only supported by Firefox 3.5). Moreover, the CSS3 spec allows for multiple box shadows on the same elements. Of course, if implemented in a real world website, you should also add the -webkit- and -o- CSS3 properties to provide a closer effect for the other browsers and be ready for the time when the ones that aren’t implemented yet in them will finally make it (for instance, when Webkit implements inset box shadows, it will work in it as well). This entry was posted in Original, Tips and tagged box-shadow, CSS3, CSS3 properties. Bookmark the permalink.